The first ever Technology Charter for people living with dementia in Scotland was launched on the 9th December 2015 at the Scottish Digital Health Conference in Glasgow by noted Scottish journalist, Sally Magnusson. In our blog this week blog we are sharing what the charter is and how we are “making it real” with a follow up blog next month. The Technology Charter is a call to action, calling for the delivery of health and social care to people with dementia to incorporate and promote the use of technology; helping people with the condition to live healthier, safer, more active and more confident lives as valued citizens. It also seeks to raise public and professional awareness of how technology can enhance lives, promote independent living and assist and complement care and support. In the charter, the term “technology” is used to describe the application and use of technological solutions (products, systems and processes) which can meet the changing needs of people wherever they are living with dementia. Practice and service provision is rights based, personalised and free from discrimination. Unpaid carers and families are recognised and valued as equal partners in care. Information and advice about technology is available in clear everyday language and in a variety of formats. Routes and access to technology are ethical, equitable, simple, understandable and user-friendly. Consideration of technology is embedded at all key points in the integrated dementia care pathway. We are building on this work to develop a “technology enabled pod” helping people to make an informed decision on what to buy, offering a technology based pod where we can. We already have this in place in Aberdeen and this year we will work in East Ayrshire, Midlothian, East Renfrewshire, West Dunbartonshire to extend this piece of work. We are developing a Dementia Circle You Tube channel which will host “how to” videos with simple on line tutorials on the functions and uses of the technology enabled products to widen the reach to people who might not have access to an Alzheimer Scotland resource centre. This will also be widely promoted through our networks to extend the reach and when the videos are ready we will also share them on this blog. Our Alzheimer Scotland link workers in a great position to start the “technology discussion” with people who have just received a diagnosis of dementia. We are already beginning to have these discussions which range from community alarms, to clocks and medication prompts and we are hoping to link them into the persons individualised care plan. In our follow blog on the 18th February we will share more about this work and the role of the link worker. Technologies such as smart phones, computers, tablets, apps and smart televisions are now commonplace in our lives, not just because they are available but because people find them useful. Technology can enable people with dementia to live longer at home or in a homely setting, stay independent for longer and give people greater choice about their care. We are suggesting that the use of technology is a potential solution to living well with dementia and is best discussed at an early stage when someone has received a diagnosis of dementia. By doing this the new technology can become familiar and using it becomes routine. 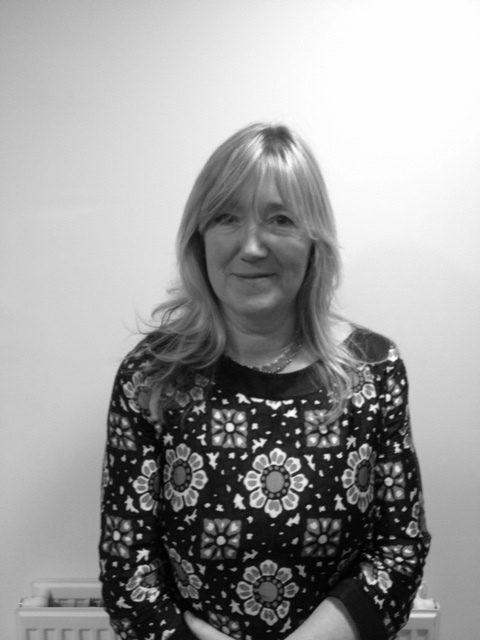 My role is Deputy Director of Development for Alzheimer’s Scotland I am responsible for innovation and development across the organisation, this encompasses future opportunities in housing, technology and expanding the role of Dementia Dog and Dementia Circle to wider audiences. The circle work has expanded tour design of our interior spaces. I’ve been a Dementia Link Worker for over 3 years providing Post Diagnostic Support in East Ayrshire. I have a particular interest in Technology Enabled Care and the benefits this can have for people living with Dementia.